Maple and SwordArt stumble into the interview still smiling from the victory despite the myriad of interviews they've already done. It's hard to draw too many conclusion from one Group, but it's clear the LMS teams are the real deal. After a huge comeback in Group A, the Flash Wolves not only advance to the 2015 World Championship Quarterfinals, but win the Group outright without a tie-breaker by winning both games against KOO. How did the Flash Wolves recover to win the "Group of Life," and how well can they do moving forward? 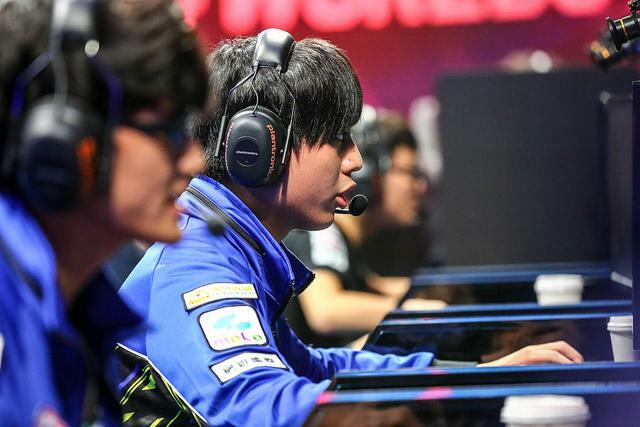 The first week of Worlds was one of inconsistency for the Flash Wolves. After leading against CLG, they lost in the late game due to some tactical and positional errors. However they didn't require a long recovery -- they managed to win decisively against KOO Tigers in the next game, positioning themselves well as they head into the their final game of the Week. Many believed this would be an easy win. Of course, that was before Flash Wolves succumbed to the late game power of Brazil's paiN Gaming. "Yes, we lost to pain, and yes it was really unfortunate," says SwordArt, "We did our best trying to focus on one game and not the whole Group afterwards." While they managed to pick apart KOO with their poke composition in their second game, it was clear that their strategies were not working against other opponents. "In Week 1, we focused on trying to get the side lanes ahead," Maple says, "And in those games, where I played Ekko and Ahri, I wasn't effective at doing it." He pauses before continuing, "So instead we tried another strategy of emphasizing Jungle and Mid synergy, an older LMS meta, to get me snowballed." With perhaps the strongest mid and jungler in the Group, and among the best in the tournament, Maple and Karsa dominated. 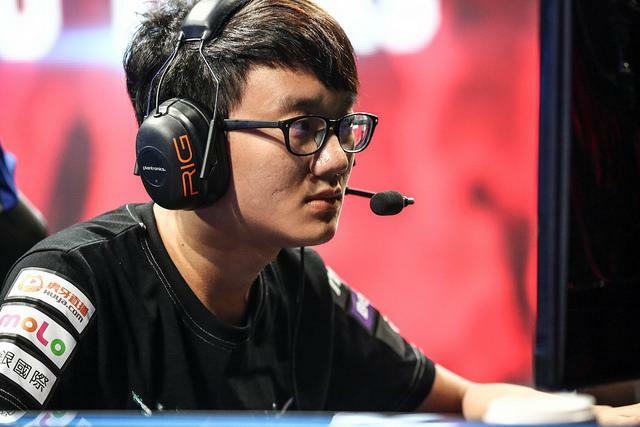 "Karsa is very mechanically good," says Maple, "And he's great at skillshot champions. We decided to just let him loose on Lee Sin and he was great at it." Karsa saved the team in several critical moments, including when a very scary Gnar played by paiN top laner Myleon flashed in on the team. Karsa saved the team with a Dragon's Rage, knocking Gnar over the wall. "It was a great play, but I think I could get my Wind Wall down and it'd be good enough," Maple laughs before SwordArt quickly interjects, "I don't think so!" Everyone in the room starts laughing as well. "I wasn't able to roam and make plays [in previous games]," Maple goes on to say, "So Karsa and I focused on getting me ahead and going into the enemy jungle to make plays and limit their ability to go out on the map." In the game against KOO in particular, Maple was unstoppable -- he went 12/1/8 on Leblanc, making catches and zero-ing out KOO carries repeatedly to completely snowball the game out of control. 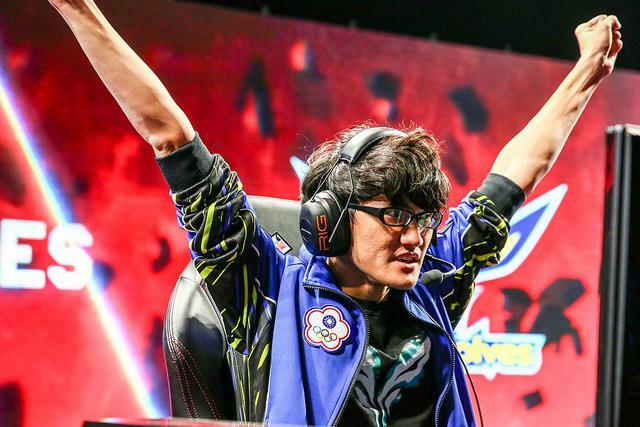 From there it was just a formality -- the Flash Wolves had won Group A. Not many saw the Flash Wolves success coming, but SwordArt is undaunted as the team presses forward. "I think a lot of people underestimate the LMS," SwordArt proclaims, "We have very close proximity to China and Korea, so we can play against the Korean and Chinese teams. We've had good success against them in scrims -- the LMS [league] has certainly helped all of us get better." Though many may have overlooked the Flash Wolves after their performance in Worlds Week 1, the Flash Wolves are focused on not making that same mistake of their potential opponents, "How far we can go [in the tournament] depends a lot on the draw." says Maple. "The teams that have impressed us most are SKT and Origen -- but we would actually prefer to play against one of the Asian teams." "The Western teams have been giving us more trouble in scrims, because the Asian teams play a meta that we are used to. A lot of the EU teams run Double TP compositions that we aren't used to playing against. But we are practicing to get better." In order for the Flash Wolves to advance in the tournament, it looks like they'll have to get used to playing against some of the Western teams, as the aforementioned Origen and Cloud9 lead their respective Groups going into the weekend. As for SKT, you can catch them as they try to close out Group C, Friday at 14:00 Central European Summer Time, or 5:00am Pacific Time. 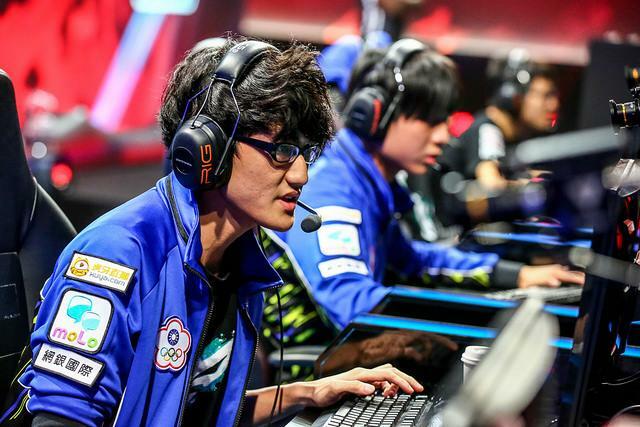 For more Worlds 2015 coverage, head over to Lolesports.com.